For computers running Microsoft Windows XP, Microsoft now provides an update known as Service Pack 2, or SP2. SP2 has some important new security features. However, to use EchoLink with SP2, you will probably need to make adjustments to the Windows security settings. Windows XP SP2 has a built-in firewall, called Windows Firewall. When it's enabled, it generally blocks any software on your computer from being reachable from the Internet. 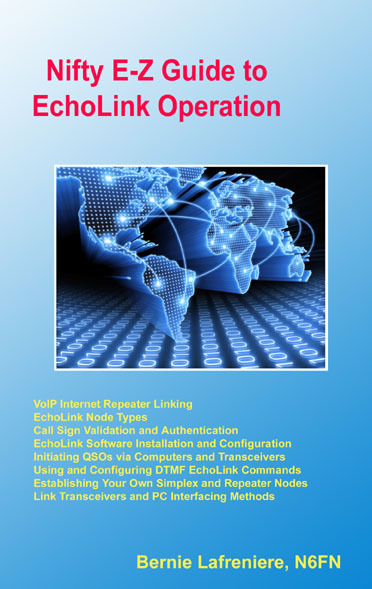 Since EchoLink relies on being reachable from the Internet, it will also prevent EchoLink from working, unless a special "exception" is added for EchoLink. Microsoft released SP2 as a Windows Update package in late August. If you have set up your computer to accept Automatic Updates, SP2 will be delivered to your PC automatically. 2. In the control panel, click Windows Security Center. 4. In the General Tab, be sure that the option "On (recommended)" is selected. If not, click it. 5. Be sure the checkbox "Don't allow exceptions" is not checked. 6. Click the Exceptions tab at the top. 7. Click Add Program... (near the bottom). A list of programs on your computer is displayed. 8. 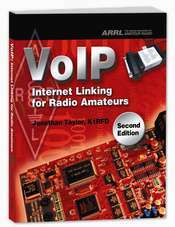 Locate EchoLink in the list of programs. Highlight it and click OK.
9. Click OK again to complete the Windows Firewall setup.